In April 2017, the State Department was widely criticized for a blog post that promoted President Donald Trump’s Mar-a-Lago resort as a historic site, effectively serving as an advertisement for the president’s Palm Beach estate. The post mentioned some of the property’s notable features and included some historical background on the site. The estate’s initial owner, Post Cereal heiress Marjorie Merriweather Post, donated it to the U.S. government in hopes it would be used as a presidential retreat. But the property was never used, and when the government decided the maintenance costs were too high, ownership was reverted back to the Post estate, which then sold it to Trump in 1985. The post was widely shared from U.S. embassies around the world, that touted the resort as a historical place of interest due to Trump’s use of it. The Real News Network recently acquired several emails from the State Department through a Freedom of Information Act Request that sheds some light on the creation of the post, and the State Department’s damage-control efforts after they took it down. ShareAmerica, managed by the Bureau of International Information Programs within the U.S. State Department, wrote and published the post, which was shared by U.S. embassies and translated in several different languages. A swift backlash followed, with critics arguing that the post read like an advertisement, and that it was unethical to blur the line between the government’s official business and promotions for Trump’s private estates. In an email, head of the State Department’s press office, Mark Stroh, asked State Department Deputy Coordinator of Products Nicole Chulick, “Has ShareAmerica written content on any other presidential residences similar to Mar a lago from previous presidents?” Chulick responded, “We’re looking,” noting that ShareAmerica is only a couple years old. They haven’t made comparable posts, but then, no other president has been in a position to profit off using his own resort as a presidential retreat like Trump. At least eight State Department officials were involved in the editing and review of the Mar-a-Lago post, written by Leigh Hartman, who is now the Move Coordinator at the U.S. Embassy in Burma. Over a dozen State Department Officials were involved in the damage control. 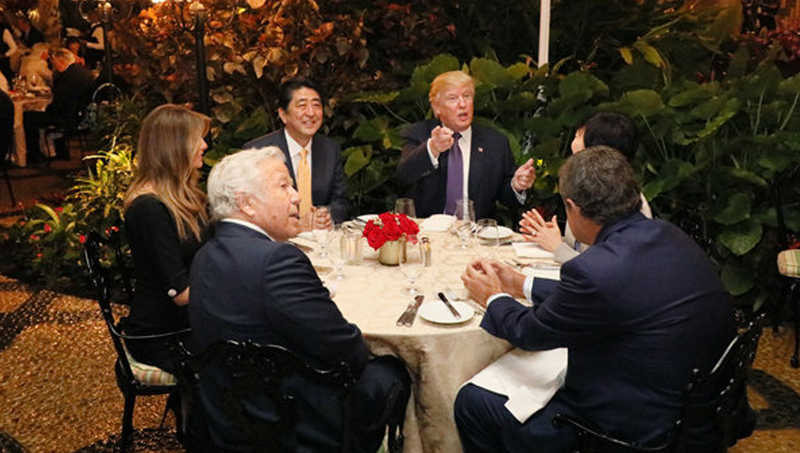 In a draft of guidelines, State Department officials noted that no ethics lawyers reviewed the post until after questions were publicly raised, and that ShareAmerica reviewed and published the controversial Mar-a-Lago post on its own. It’s still unclear whether the post’s author was assigned to write it or came up with the profile on her own. In an April 25 email, Bridget Hunter of the Bureau of International Information Programs wrote, “I suspect the building could be on fire and Peggy, Terry, and Helen still wouldn’t have let that past them,” in reference to the post. In an email the day before, ShareAmerica Managing Editor Berta Gomez blamed the outrage on former Obama officials.